* Signage opportunities and exposure. Better than market! Just 32 kilometres north of Brisbane's CBD, Redcliffe is accessible via the Bruce Highway and the Gateway Arterial Road to the Port of Brisbane and the Brisbane domestic and international airports (only 20 minutes away). The City of Redcliffe was Queensland's first settlement set amid Moreton, Bramble and Deception Bays and is now home to over 50,000 residents. 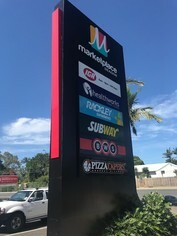 The suburb has a diverse range of both public and private business activities including tourism, manufacturing and light industry, retail and the fishing and seafood industry. The Redcliffe City Council has made a strong commitment to economic growth with recent initiatives including the construction of a new library and art gallery and the redevelopment of the Redcliffe hospital. The main commercial element is retail trade with most local residents commuting to Brisbane for work. Additional Features:	M/F Amenities, Ducted A/C, internal and external amenities. 38 sqm of Prime Retail Sp.. Price: $30,000 + Outgoings ($2,2..